Together with their local partner Thonburi Automotive Assembly Plant Co. Ltd. (“TAAP”), Mercedes-Benz Cars is going to invest over 100 Million Euros in the existing car plant and a new battery production factory in Thailand. The investment shall extend the existing car plant and increase the production portfolio by adding new models. The new battery factory will be established close to the car plant of Mercedes Benz, expand over 48.000 sqm. This project shall be realized until 2020; the production of the batteries shall start in 2019, according to Managing Director of TAAP, Veerachai Chaochankij. The battery production factory in Thailand will be the sixth Mercedes-Benz battery factory worldwide. As part of the Mercedes-Benz Cars battery production network, it will ensure Mercedes-Benz a strong position in the global electromobility market: the new battery factory in Thailand shall not only cover local demand but also serve the export. 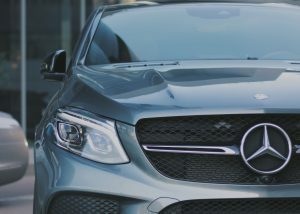 According to Markus Schäfer, Member of the Divisional Board of Management Mercedes-Benz Cars, Production and Supply Chain this strategy will enable Mercedes-Benz Cars to operate in “any region at short notice and the right size”. As a result of the investment, over 300 additional jobs will be created. Dr. Uttama Savanayana, Thailand’s Minister of Industry, welcomes this development. The currency inflow will facilitate the country’s economy by introducing new technology standards and promoting employment in a new higher technology production. Over 40 years ago the Mercedes-Benz Cars plant started its first local production with the model W123, counting over 1000 employees nowadays, with increasing tendency.